C.H.I.P - The world's first 9 dollar computer! C.H.I.P is a linux based, mini computer that has a price tag of only 9 dollars. This small but deadly open source device has been dubbed as the "Raspberry Pi Killer", and for good reason. Raspberry Pi is relatively much more expensive at $25, and C.H.I.P nearly has the same capabilities as a Raspberry Pi computer would.In a package small enough to fit in the very small palm of a very small hand, C.H.I.P. 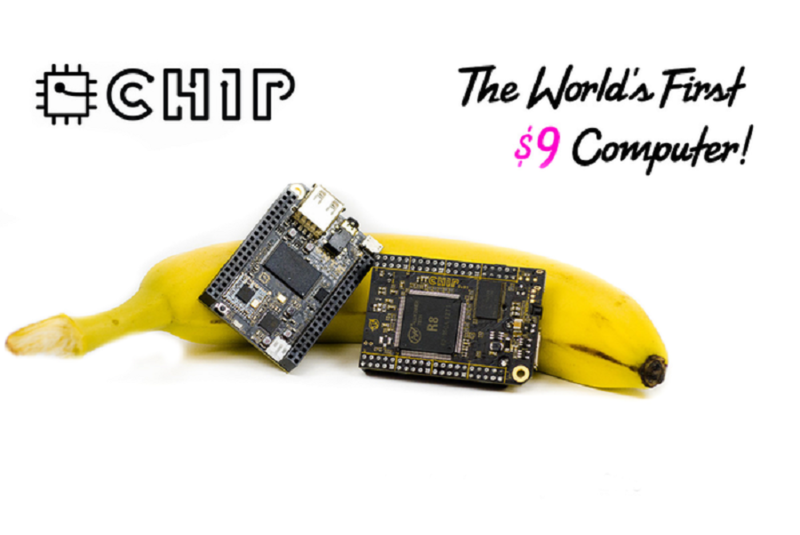 runs a 1GHz processor, 512MB RAM, 4GB of storage, and has built-in WiFi and Bluetooth.C.H.I.P is also completely open source, which means that its design schematic, PCB layout and bill of materials are free for anyone on the internet to download!Want to know more about this awesome device? Follow this Link!